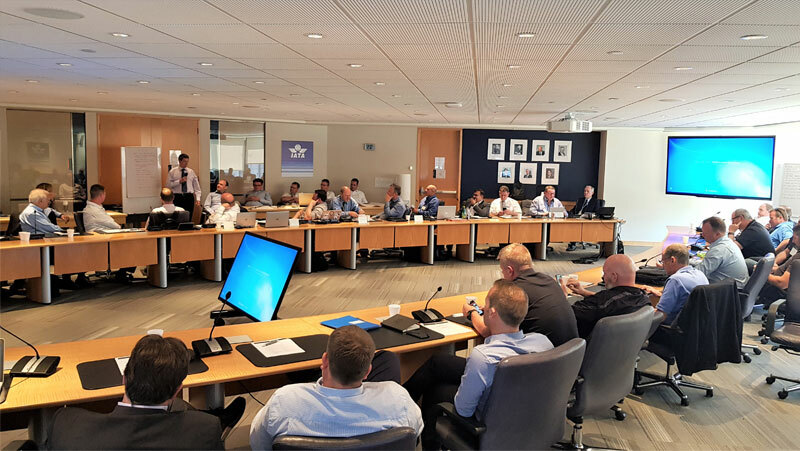 IATA’s Aircraft Recovery Task Force Conference took place at their offices in Montreal on 16th and 17th May. As one of IATA’s Strategic Partners, AMS Aircraft Recovery Ltd attended to lend their expert opinion and provide one of the keynote presentations. This was the 14th meeting of IATA’s Aircraft Recovery Task Force (ARTF), with 53 delegates flying in from all corners of the globe. Delegates from airlines, airport authorities, insurance assessors, aircraft recovery specialists and IATA contributed to this annual forum to discuss observations and findings from aircraft recoveries across the last year, developments of interest, and to share knowledge between all parties to improve aircraft recoveries across the aviation industry. AMS were represented by Mark Knight and Yudie Fishman, with Yudie providing one of the keynote presentations on a proposed solution for aircraft de-fueling, transport and storage. 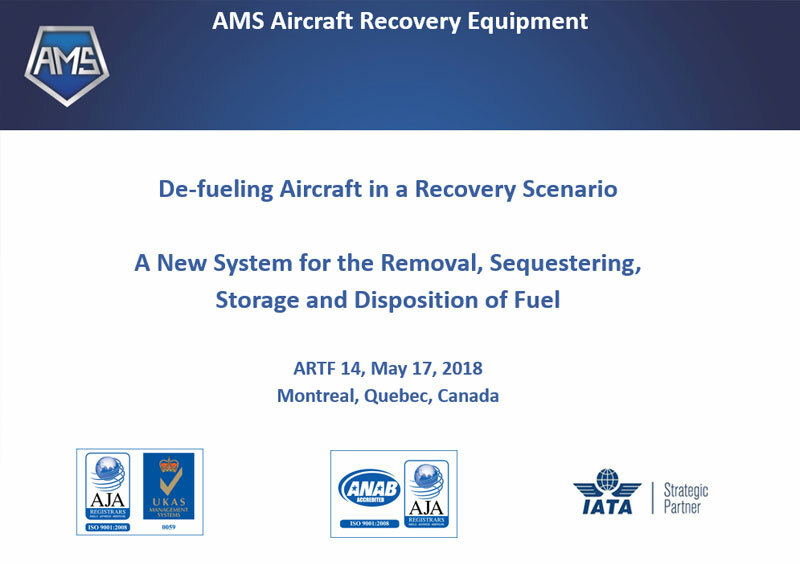 This addressed a current difficulty for the aviation industry regarding de-fueling aircraft for weight reduction, while ensuring that transportation and storage of removed fuel remains contamination free (to enable it to be reused at a later date). Yudie’s team at Age Logistics Corporation have designed a solution with AMS, to develop a new and unique method for the removal, sequestering, storage and disposition of aviation fuel. The new Tank Container System highlighted during the presentation has a patent pending. The 25,000 litre capacity tanks are stackable, have a 20 foot container envelope and are designed to meet ISO/DOT standards. Considerable interest was shown in the proposed new solution, both during the conference and via linked enquiries after the conference closed. The new Tank Container System is currently awaiting patent approval and we will provide further updates as this progresses. Meantime, if you would like further details on the new system please get in touch by calling us on +44 (0)20 3289 9320, or contact us using the form on our website. 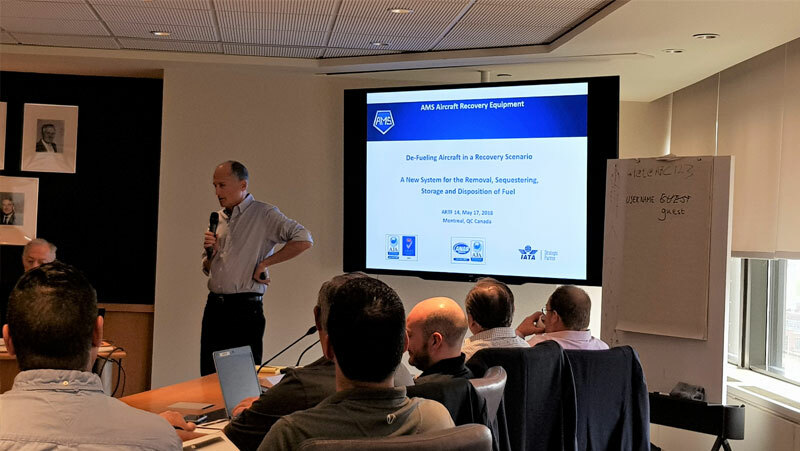 Next year IATA’s Aircraft Recovery Task Force Conference will again be held at their offices in Montreal on 14th and 15th May 2019. Our involvement as one of IATA’s Strategic Partners underlines AMS’s commitment to improving aircraft recovery capabilities across the aviation industry. We look forward to attending the 2019 Conference and providing an update on the themes discussed.